Ann is a physical therapist, athletic trainer, business owner, writer, mom, and lover of all types of movement. As a college athlete and now a healthcare provider, she has been obsessed with health and performance her whole life. Ann owns and operates Prana Physical Therapy in Alexandria, VA. She utilizes Trigger Point Dry Needling as a treatment modality, along with Pilates, weight lifting, and nutrition/lifestyle consulting in her holistic physical therapy practice. Ann is a consultant for Whole 9 Life and an Advisory Board member for Girls Gone Strong. Her articles have been featured on many popular fitness and lifestyle websites, industry publications, and most recently Oxygen Magazine. She can be contacted on Twitter or through her website. As a physical therapist, I meet with women every day who struggle with health issues related to pregnancy and childbirth. Quite often, I am the first healthcare professional to offer real patient education and treatment for the underlying causes of the issues women face throughout their lifetime. I’m here to tell you that Kegels are not the answer to all of your problems! Treatment for pelvic floor dysfunction, incontinence, and pelvic pain is as individualized as every woman who struggles with these issues. If you are experiencing pelvic pain or incontinence, I recommend an evaluation with a women’s health physical therapist. Your PT will perform a thorough evaluation and involve you in developing a plan of care to meet your needs. To help you get started on your healing journey, I want to address five common myths about pelvic floor dysfunction. Myth #1: Leaking during exercise (or sneezing or coughing) is normal. Truth: Leaking urine during exercise is common, but not “normal.” In the U.S., the national average of women who experience incontinence is 1 in 3. A study done by Thyssen et al (2002) surveyed 291 elite female athletes competing in a variety of sports from basketball to ballet, regarding their history of urine loss during participation in their sport or day to day activities. 151 reported leakage of some kind. Of the 151, five discussed it with a medical provider, and only six got pelvic floor training. (1) This sad statistic shows that incontinence is very prevalent in the general population and the athletic community, but most women do not seek treatment because they are either embarrassed or they assume it’s normal because everyone else they know has the same issue. Many of the women I treat state that they leak urine every day and that they always leak during exercise such as box jumps and jump rope. 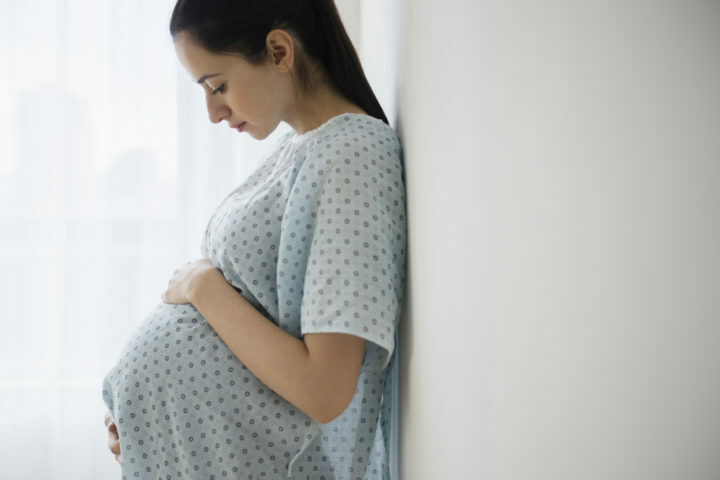 Some women make statements like “Two kids, it’ll do it to you.” While it is true that childbirth can be one of the factors that contribute to pelvic floor dysfunction, not all women experience incontinence after childbirth; and, it can be treated if it occurs. Any women’s health physical therapist will tell you that it is not o.k. to leak urine when working out (or coughing, or sneezing). It is a sign that the whole system is breaking down, and the pelvic floor is just the place it shows the most at the time. This brings us to Myth #2. Myth #2: It is perfectly fine to keep doing the activities that cause incontinence. In my own practice, I rarely have a patient that comes to me specifically for incontinence. Many female patients come in with complaints of low back, hip or knee pain. As part of my initial evaluation, I ask every woman if they ever experience any incontinence. Over half of the women will say no, until I press, and then they admit that they do. What they don’t understand is that pain in the knee may be related to weak and/or uncoordinated pelvic floor and hip muscles. Chronic groin strains, IT Band Syndrome, Trochanteric Bursitis and Patellofemoral Syndrome are a few of the common diagnoses that female patients seek treatment for – an integrated approach is necessary to identify the root cause of the issue and to successfully treat the problem. If you experience incontinence with running, box jumps or double unders, STOP. Seek help from a qualified women’s health physical therapist, even if your GYN states that you don’t need physical therapy. Be an advocate for yourself and seek treatment. The section on Women’s Health of the American Physical Therapy Association has an index of providers in the U.S. and the International Pelvic Pain Society has a worldwide index. The American Physical Therapy Association has more information here as well. Myth #3: I’m the only one that wets my pants when I exercise. Truth: Many women tell me that they feel they are alone with this problem. I assure them that the reason they don’t see obvious leakage in the gym is that many women wear a pad every single time they work out. The issue of incontinence came to light twice at high level Crossfit competitions in the past few years when women either didn’t wear a pad that day, or they soaked right through the pad. The majority of women I treat tell me that they wear a pad to every single workout because they know (or are afraid) they will leak. These are fit looking women that no one would ever suspect have this issue. These are women of all ages – from their 20’s to the Masters Division. Avoidance of certain exercises (they say “I can’t do double unders, or burpees, or box jumps”). Women may not feel comfortable discussing these issues with coaches; however, it is possible to include questions about incontinence on your intake forms along with providing resources in your area (coaches can reach out to local physical therapists and even sponsor a local physical therapist to come in to give a talk on the issue). Your goal is to keep every one of your members strong and healthy. Myth #4: Doing more Kegels is the only way to treat incontinence. Truth: This could be an entire blog post right here. The truth is that the pelvic floor is part of a system and all of the parts need to work together to prevent problems. Some women do have weak pelvic floor muscles, and learning to properly activate the pelvic floor as part of the system during exercise is beneficial (learning to relax the pelvic floor on inhalation and contract the pelvic floor as you exhale during exertion in a lift). Other women have an overactive pelvic floor (a “high, tight pelvic floor”). In this case, the muscles may be overactive and weak or overactive and strong, but still not coordinated with the respiratory system. Either case can lead to leakage. Central stability (core stability) requires a balance of all the muscles and the ability to create an automatic strategy for graded engagement of the muscles to meet the demands of the task at hand. Physical therapists use a variety of treatment techniques to teach you how to relax and contract the proper muscles timed with your breathing, and then how to integrate this action into functional tasks such as picking up your child or lifting a bag of dog food. Myth #5: My doctor says I don’t need physical therapy. Truth: Please do not assume that you are receiving the care you need. Your doctor may be unaware of how physical therapists can help with post-partum pelvic pain, incontinence, and low back or hip pain. We can train the pelvic floor and central stability mechanism just like every other muscle group in the body. In all 50 states, a woman can access physical therapy services without a referral from her physician. Direct access to physical therapy allows you to contact the provider of your choice and get started on the road to recovery as soon as possible. Let us help you return to your active life, free of pain and incontinence!